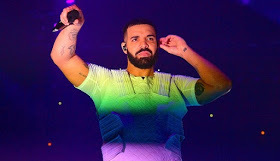 Drake has revealed a serious illness that forced him to postpone his shows in Miami. He apologized to the fans for the shift in a heartfelt statement he had posted on his Instagram early Saturday morning. Drake, 31, said he was looked after around the clock by two doctors and a nurse, who revealed how severe his suffering was. I just wanted to say how sorry I am for these two Miami shows. I got so sick so quickly and I've never experienced anything like that in my life, "he began in his statement. "Unlike other series cancellations or scheduling adjustments due to production issues, this struck me and I just wanted to apologize because I hate disappointing someone who shares those moments with us. "Thanks to the two doctors and the nurse who helped me around the clock, Miami earns 100 percent and I promise that experience when we come back, thank God you allow me to recover and keep going.